Today is our last day in Auckland before we head to Wellington for the next week and it’s a free day! Everyone is out exploring and shopping, but I wanted to use this post to really think about my experience here in Auckland. 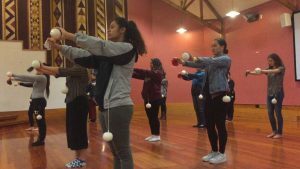 As a student of Polynesian descent, I was intrigued with how the Maori culture intertwined with the education here in Aotearoa. We had the privilege of getting a glimpse of the classroom setting at both the University level and the elementary level. I was touched and emotional to see students getting their education while also closely in touch with the roots of their culture. We visited Waatea Elementary School and there were kids whose age ranged anywhere between five and twelve. 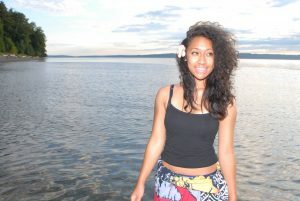 They were all in blue uniforms and came from all Oceanic backgrounds: Samoa, Tonga, Maori, and Hawai’i. We walked into a classroom and I was excited to see things written on the board in Maori. The kids had their projects and assignments up around the classroom written in both English and Maori. As we got settled in after their recess time, we were welcomed with Maori songs sung by the children and teachers! It was beautiful – I could feel the pride in the children’s voices, pride in who they were and where they came from. 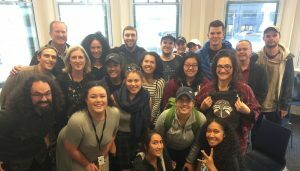 The relationship between education and Maori culture in Auckland stood out the most to me. 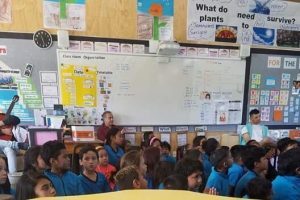 I loved that Maori students and educators are creating space for their youth and younger generations to get their education, learn who they are, and where they came from. 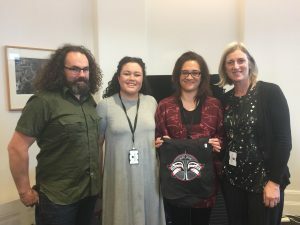 This intersects with our course theme sovereignty – the Maori people use their space to control the content of their education and give their students space to learn about the roots of their culture and people. This entry was posted in Our Experiences on September 1, 2017 by Aleila Alefaio.